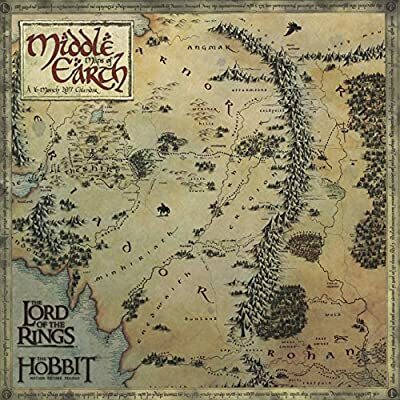 Richly detailed maps with a vintage feel draw you into the magic and adventure of Middle Earth. Find the location of your favorite scenes and track the paths of Bilbo, Frodo, and the others. Sixteen-month Wall Calendars feature 13 spreads to highlight each month in 2017, as well as the last four months of 2016. Each Wall Calendar is printed in 4-color on FSC-certified paper.